Always Best Care combines national strength and standards with local accessibility and personal service. The local owner and operator of Always Best Care of Greater Bethlehem is Vanessa Taylor. Vanessa and her team have your loved ones best interests at heart, and they're committed to delivering exceptional service and care to all family members. We have strong relationships with area hospitals, social workers, senior communities and senior resources throughout the area. Caregivers at Always Best Care of Greater Bethlehem are thoroughly screened, bonded and insured to provide the safest and highest level of care. There's no charge for a free Care Consultation or for assisted living referral services. We are here to serve your needs and we can help! No hourly minimums either! We're experts in senior care - contact us today with any questions or concerns you may have. Are your staff that deliver senior care in Bethlehem insured and bonded? Yes of course! When you think about the caregivers we have in Bethlehem, you don't have to worry about anything. All of our trained professionals are bonded, insured, and covered by worker's compensation. This means that you have nothing to worry about when it comes to the quality of our caregivers. This is top priority for us when we are providing home care in Bethlehem! How are Always Best Care's staff that provide home care in Bethlehem vetted? When it comes to the vetting process our caregivers go through, you won't have a worry in the world. Our vetting process is one of the most intensive as it includes a thorough background check, criminal record check, and a proper go-through of all references and their professional history. This is because we only bring the most qualified members onto our team. We want to provide the best possible senior care in Bethlehemfor your loved one and that starts with our vetting process. What hours do your staff provide elderly care in Bethlehem? We pride ourselves in the availability of our caregivers to provide senior care in Bethlehem. You will have no worries as our caregivers are available 24 hours a day, 7 days a week, and 365 days a year. Seniors can require care at odd hours throughout the day and when we least expect it, so we schedule our caregivers so that your senior will never have to worry when they will receive care. Will my loved one have the same caregiver to provide them elderly care in Bethlehem on every visit? In most cases, the answer to this question is going to be yes. However, there are certain circumstances that are just out of our control. For example, the regular caregiver for your senior might fall ill with the flu or might have scheduled time off. This means that we will have to schedule another of our professional caregivers to spend time with your loved one. However, consistency is one of our priorities when it comes to senior care in Bethlehem. This means that we strive for your senior to have the same caregiver as much as possible. We believe that it's crucial for seniors to build long-lasting and deep relationships with their caregivers. And that requires for the same caregiver to be there when your loved one is in need. How will my loved one be matched with their caregiver that's responsible for providing their home care in Bethlehem? Great question! Your loved one is going to go through our matching process in order to be properly matched with the best caregiver. One of our priorities with elderly care in Bethlehemis to ensure that your senior is matched with a caregiver that has similar preferences, strengths, and weaknesses. We would never want to provide your loved one with a caregiver and they don't get along for one reason or another. That's why we will take into account everything that your senior requires/wants in a caregiver and start the matching process as soon as possible after your first call. And if for some reason we can't find the perfect match the first time around, we will revaluate and try again until the right match comes along. How are your caregivers trained to provide senior care in Bethlehem? This is one of the most common questions we receive here concerning elderly care in Bethlehem. Our caregivers go through an intensive training and education program as soon as they are hired to be a caregiver with us. Everything from communication methods, to safety procedures, to how to spot the symptoms of an illness are covered when they are trained. This means that you will never have to worry about your senior's caregiver not knowing the proper procedures to keep your senior healthy and safe. Plus, we keep our caregivers up-to-date with the latest trends and research in the industry with regular trainings to ensure they can provide the best care possible for your loved one. Why should I choose your home care in Bethlehem instead of an independent provider? Sure, there are plenty of independent providers of senior care in Bethlehem. They can provide everything that you could ever want in senior care for a number of different price points (although this can be too good to be true, sometimes!). So, with all of those providers out there, why would you go with Always Best Care when you could cut out the "middle-man" with an independent provider? You see, independent care providers simply can't ensure the excellent standards of care that we provide here at Always Best Care. You are going to be getting the best of the best when you go with our caregivers thanks to our extensive vetting and matching processes. How quickly can my loved one expect to begin receiving in-home care in Bethlehem? 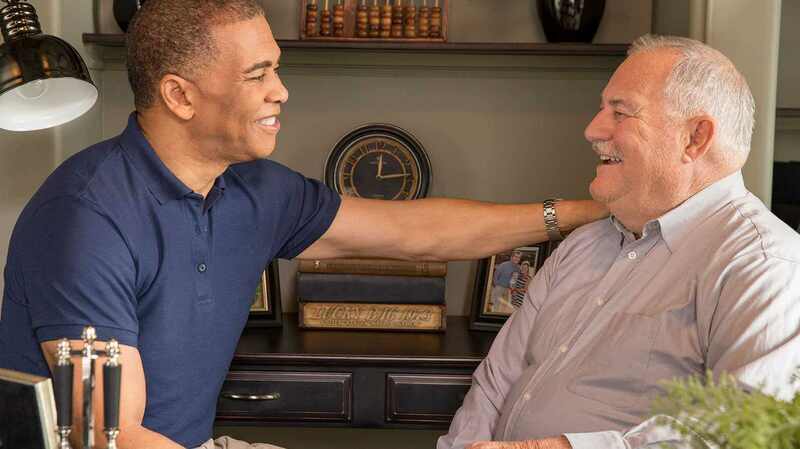 The timeline of when your senior can start receiving elderly care is a big one for many families and we definitely take that into consideration during the process of matching your senior with one of our professional caregivers. In fact, you can expect your senior to be matched with their perfect caregiver in about a week after you put in that first call to our office. You may be surprised by how quick this happens, but that's because our team members are highly trained and qualified in the matching process for senior care in Bethlehem. What role do family members play in their loved one's elderly care in Bethlehem once a caregiver has been hired? This is one of the most common questions we receive from family members about elderly care in Bethlehem through Always Best Care. Indeed, what role will you play once your loved one is receiving care from a specialized caregiver? Well, one of our top priorities is to ensure that you feel involved in the process as much as you want to be. 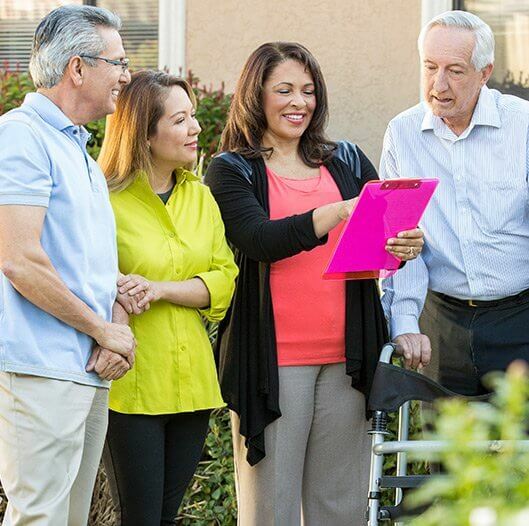 Our professional caregivers work especially hard with family members to ensure that they are kept in the loop and are able to help out wherever needed. But you can assure yourself that your loved one will be in good hands with our trained caregivers! 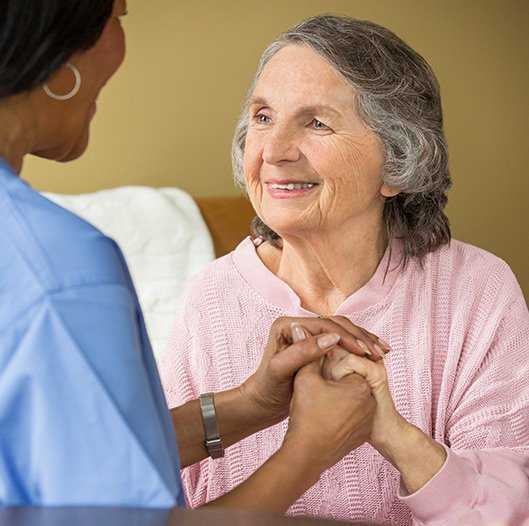 How do I know if Always Best Care is the right choice for in-home care in Bethlehem? This is a fantastic question and is one that you should ask yourself before moving forward. We can't speak for the quality, efficiency, and compassionate nature of the care provided by other in-home care services in the Bethlehem area. All we can do is speak for the long history that we have of providing compassionate care to those seniors who are in need of senior care in Bethlehem. This is one of the best reasons why you should choose Always Best Care over other potential providers in this area of the US. You definitely won't be disappointed by the incredible service we provide. What steps are taken to ensure that my loved one's in-home care in Bethlehem is safe? Safety is the top priority we have when it comes to senior care in Bethlehem through Always Best Care. When it comes to the care of your loved one, the first thing that comes to mind is their safety and how trained their caregiver is on safety procedures. As mentioned above, you will be assured that our highly qualified caregivers receive training on the latest safety procedures on a regular basis to ensure that if anything goes wrong, they are prepared for any eventuality. Do I need to sign a contract or agree to an hourly minimum for my loved one to be applicable for your home care in Bethlehem? Not at all! We don't want to lock you into anything - we just want to provide you the best possible elderly care in Bethlehem. It's important to us that your senior receives the customized care that he or she deserves. That means there is no contract you have to sign or hourly minimum you need to agree to. How great does that sound? Do you provide in-home care in Bethlehem for individuals suffering from Alzheimer's or other forms of dementia? Of course, one of the most troubling diseases that can affect seniors is Alzheimer's or other forms of dementia. This is an ever-present struggle for those seniors who are afflicted with those conditions. That's why all of our professional caregivers are properly trained in how to work with seniors with Alzheimer's who need elderly care in Bethlehem. We understand that these seniors have special needs when compared to seniors without these conditions and our caregivers are educated to reflect that. If I choose your in-home care in Bethlehem, what type of services can my loved one expect on a day-to-day basis? Do you provide respite in-home care in Bethlehem? If you are a provider of consistent care to your loved one, you may think that there's nowhere to turn whenever you need to take some time off or fall ill. You may be worried about who's going to take care of your senior whenever you find yourself unable to see them every day for a short period of time. That's where our experienced caregivers come into play. You can work with one of our specialized caregivers in Bethlehem to provide care for your senior during the short periods of time when you can't. When you're thinking about who to go to for home care in Bethlehem, look no further than Always Best Care! Your loved ones will be in great care with Always Best Care of Greater Bethlehem. If your loved one needs in home care, I highly recommend Always Best Care of Bethlehem. Wonderful staff and excellent caregivers that go above and beyond what is expected of them!